Payment Methods – Bank Transfer, Neteller, Skrill (Moneybookers), Player Account. Country Restrictions for Players – Varies by venue promoted. Player Issues – The ActiveWin properties have to be split into Betfred and everyone else when looking at a significant player issue. Betfred have continued to run card games from the Finsoft provider. This provider was shown to have altered the probabilities of occurrence of the cards in some of their games away from those that would naturally occur when playing with a deck of cards. Most well regulated gambling jurisdictions would not allow this practice. The other properties represented by ActiveWins are not affected by this issue. It should be noted that ActiveWins previously represented MobiBet, a group that rebranded to MB24 then closed without paying some of their players. This happened after they left ActiveWins. For references see – http://thepogg.com/appendix-casino-reviews/#Betfred. With regard to player issues at Betfred, ThePOGG.com will not work with any operator that knowing offers games from a provider that has distributed games that are deceptive and do not conform to the natural probabilities of the physical object they represent. The above taken into consideration we would understand other affiliates that worked with Betfred. •	The clear definition of ‘Lifetime’ meaning only as long as you continue to promote ActiveWin brands (question: what happens if you stop promoting one of the brands, but continue to promote others – does your revenue share at the brands you’ve stopped promoting get cut?). This is a Minimum Activity Quota. 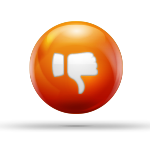 Overall as far as affiliates are concerned there are reputable programs out that don’t carry the above negative terms. These terms prevent us from recommending affiliates work with Active Wins.